Nasa has announced a new mission to visit a mysterious metal asteroid in the heart of the solar system which could be the core of a long lost planet. 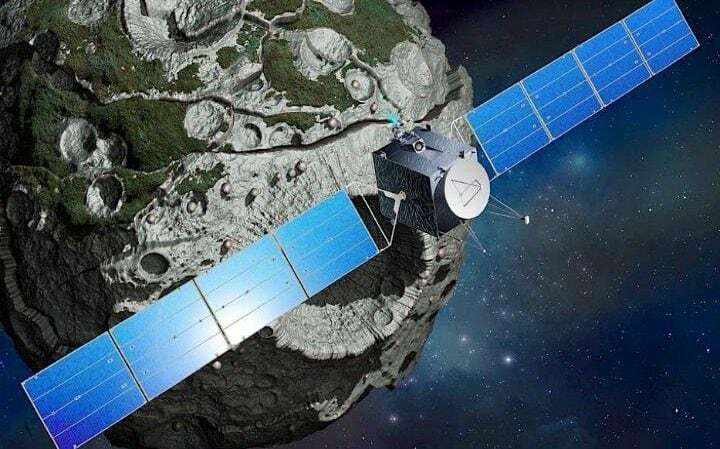 The strange chunk of metal, named 16 Psyche, is made of iron and nickel, similar to the Earth’s core, and scientists think it could be the remnants of a Mars-sized planet which existed just a few million years after the birth of the Sun. Psyche was first spotted by the Italian astronomer Annibale de Gasparis in 1852 and named after the Greek goddess of the soul and wife of Cupid. Originally it was thought to be a normal asteroid of rock and ice, but in the 1980s astronomers were astonished when radar readings showed Psyche was actually made of metal. Nothing similar has ever been found. Scientists have speculated that the 130-mile metallic boulder lost its outer shell following a number of violent collisions billions of years ago. To find out more about the curious object, Nasa is sending a spacecraft in 2023 in a mission which will probe into the heart of planets that until now have been completely hidden from view. “This is an opportunity to explore a new type of world – not one of rock or ice, but of metal,” said Psyche principal investigator Dr Lindy Elkins-Tanton, of Arizona State University. The spacecraft will take seven years to reach Psyche, which circles in the asteroid belt between Mars and Jupiter. The probe will study the metal asteroid for six months, recording its topography, surface features, gravity, magnetism. The mission is part of Nasa’s $450 million (£365 million) Discovery programme, which is aiming to learn more about the solar system in the first 10 million years after the birth of the Sun. A second mission will launch in 2021 to study Jupiter’s so-called Trojan asteroids, which are thought to be relics of a much earlier era in the history of the solar system. The six asteroids are trapped by Jupiter’s gravity in two clusters that share the planet’s orbit and complete the same 12-year circuit around the Sun. “This is a unique opportunity,” said Dr Harold Levison, principal investigator of the Lucy mission. Dr Thomas Zurbuchen, associate administrator for NASA’s Science Mission Directorate, said the discover mission would “boldly go” where no missions had gone before. “Lucy will visit a target-rich environment of Jupiter’s mysterious Trojan asteroids, while Psyche will study a unique metal asteroid that’s never been visited before,” said Dr Zurbuchen. Dr Jim Green, Nasa’s planetary science director, added: “These are true missions of discovery that integrate into NASA’s larger strategy of investigating how the solar system formed and evolved. In addition to selecting the Lucy and Psyche missions, Nasa also announced that it is extending funding for its Near Earth Object Camera (NEOCam) project for an additional year. The NEOCam space telescope is surveying regions of space closest to Earth’s orbit, where potentially hazardous asteroids may be found.